If you burn wet wood (contains typically 60% moisture) in a fireplace or wood burner it becomes very inefficient because much of the heat produced as the logs burn will be used to drive the moisture away as steam, in fact you need around three times as many unseasoned logs to produce the same heat as kiln dried logs. Burning unseasoned or wet logs can produce serious problems for your chimney. The moisture vapour produced by wet logs combines with other gases and particles that go up the chimney or flue and produces a creosote-like substance which hardens to form tar which lines all surfaces, this volatile residue can ignite, causing a chimney fire. This tar formed from the wet wood condensation is acidic in nature and will corrode any metal. 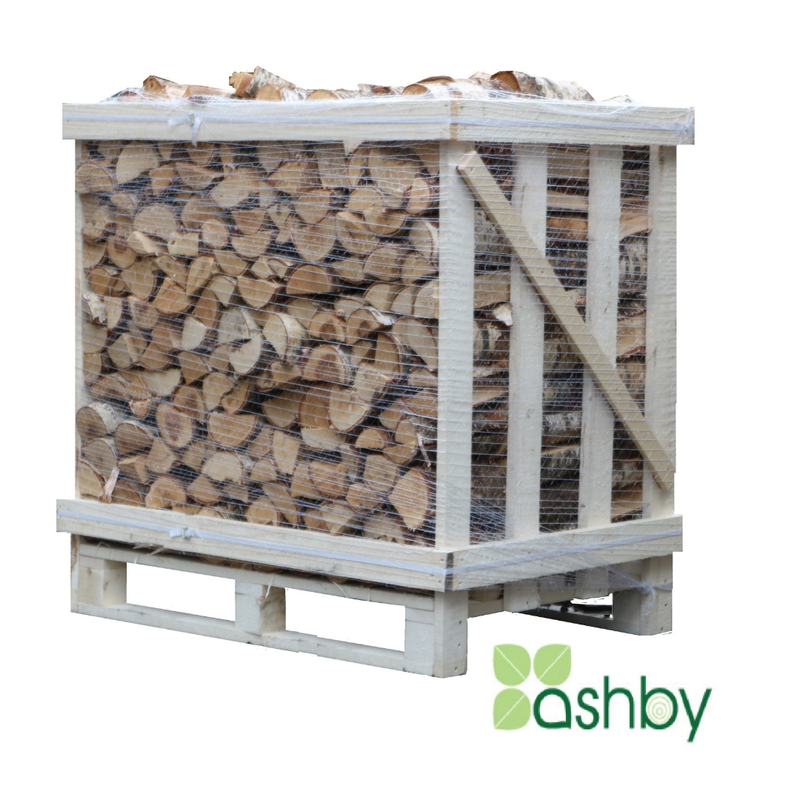 Burning wet wood produces more smoke than dry wood and creates more pollutants and particles that are released into the air, in contrast burning kiln dried wood produces a high heat and a clean burn. Kiln dried wood is heated in a kiln oven, this is a very efficient alternative to air drying wood and dries logs to below 20% moisture. Kiln dried logs offer a product with a consistently low moisture level. What is the moisture content of kiln dried wood? The industry standard for kiln dried logs is 20% moisture or below. Seasoned logs are air dried over time. Wet logs are stacked and then seasoned for 1-2 years gradually bringing the moisture level down to 20%, but this is not guaranteed. Kiln dried logs offer an efficient and consistent result, so whichever time of the year you buy you get the same high heat, clean burn result. A high heat and a clean burn with low smoke is particularly important to customers buying logs for woodfired pizza ovens, if the oven isn’t consistently hot it can affect the quality of the pizza, so these customers are always keen to buy kiln dried wood, they also prefer ash.